Richard Jenkins Insurance Agency specializes in providing contractors general liability insurance and other coverages vital to contractors including builders risk insurance, commercial auto coverage, and insurance for tools and equipment. New York Contractors Insurance can be very confusing at times, so we are here to assist you through the process of selecting the right coverage from the right company. We have many companies to find you the best possible coverage at an affordable price. We have many years in the Construction insurance industry to evaluate your risk and solve the coverage needs of your construction company. General Liability Insurance - This liability insurance will protect you from most claims that would arise from the day to day activities. This includes the activity of running a business and the type of accidents that would occur at a job site. Tools and Equipment - Hand tools are normally covered on a blanket basis with no list or schedule. No item can exceed $500 in value. Equipment Insurance will protect your larger tools and equipment such as welders, generators, nail guns and other expensive portable equipment. Builders Risk - C.O.C (Course of Construction) - Physical damage insurance for property under construction. 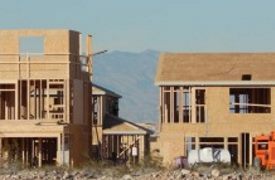 Lenders will require it before issuing construction financing. They will usually require this coverage before funding remodeling projects as well and some policies can be endorsed to include the structure being remodeled also. Workers' Compensation - Contractors are responsible for providing this coverage for employees but may also have the exposure because of subcontractors who have not provided workers' compensation insurance for their employees. This exposure can be avoided by insisting that subcontractors carry appropriate workers' compensation insurance. Business Auto Insurance - Personal auto policies exclude autos used for Commercial and Business purposes and would therefore require coverage on a policy designed for such use. If you use your automobile in business, be sure you have the right policy and coverage is not excluded. At Richard Jenkins Insurance Agency, we have the contractors specialists to understand your risks and develop insurance solutions to fit your industries needs. So, contact us to find out more about your contractors insurance in Parish, New York including the Camden, Central Square, Hastings, Mexico, and Pulaski areas.